One hand went slowly up into the air. Blushing, I could feel the stares of the rest of the class as they turned to look at me. It wasn’t the first time an English teacher had teased me for my Dickens obsession. Two years before, I had torn through Great Expectations and A Tale of Two Cities in short order. I’d begun speaking and writing in a pastiche of nineteenth-century Victorian writers. (“Magniloquence is a virtue much to be admired in a gentleman,” I would say, to the friends I did not have). 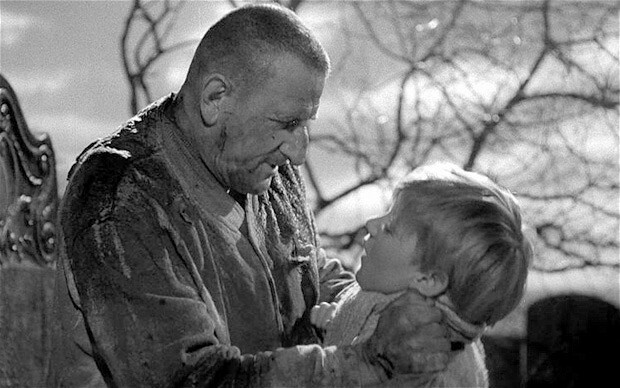 I found Dickens irresistibly fascinating; David and Pip and Joe Gargery and old Fezziwig were like old friends, in the same way Ali Baba and Sinbad befriended young Ebenezer Scrooge. As a poor boy growing up in an abusive home environment, I connected with the violence and destitution and rage and filth and gore of Dickens’ imagined England, with this gothic and grotesque world in which convicts leapt out from behind tombstones and frightened little boys out of their wits, in which stepmothers and stepfathers beat their kids until they bled and eccentric old women set themselves on fire. Dickens was haunted by what Catholic writer Flannery O’Connor called “the grotesque”; it was the darker half of his Gothic imagination. His books were filled with wild, extravagant, deformed figures, twisted in soul and body. He got into a fair bit of trouble when a roguish, “ogling” dwarf woman in the not-yet-completed David Copperfield turned out to have been based on an actual person, who was so hurt by Dickens’ characterization that he was compelled to revise forthcoming installments of the novel, to portray her in a less appalling light. Arguably, though, it was this gallery of grotesques that made Dickens so massively popular. They burned themselves onto your brain. Novelist Susanna Clarke once described him as “huge—like the sky,” and the same could be said of his characters, even the most minor ones, like the grinning, inebriated old robber David meets on the road to Dover who shouts, “Oh, my lungs and liver! Oh, goroo, goroo!” It is a dark, violent world Dickens builds for his characters, and heaven bless him for it. At around the time I was beginning my freshman year of high school, and reading Great Expectations for the second time, the Christian contemporary musician Steven Curtis Chapman released the single “Great Expectations,” a track from his massively popular Speechless album. (If you attended Christian summer camp in the late ‘90s or early 2000s, it’s likely you were subjected to the song “Dive” off of that album). I remember the curiosity and interest I felt when I learned that Chapman had a new single entitled “Great Expectations.” His previous songs, from “Lord of the Dance” to “More to This Life,” had not been found wanting. But, like a young orphan discovering that his mysterious benefactor is something less than he imagined him to be, I found myself disappointed by the sheer immateriality and vapidness of the song, which didn’t seem to be about anything. Lest it seem like I’m picking on Mr. Chapman, I should add that this is a problem endemic to Contemporary Christian Music (CCM), both then and today. (“Your love never fails, it never gives up, it never runs out on me,” sings Passion on the most recent WOW album). So often Christian-brand music, and worship music in particular, sings ethereally of “approaching the throne room” to encounter God’s grace, compassion and mercy. But rarely do these songs give any indication of what this is actually supposed to look like, nor how God’s goodness and mercy manifest in our actual lives, the place where we live and move and breathe. We’re left with uplifting platitudes that fuel a quasi-Gnostic spirituality divorced from the realities of time and place. Yes, this is a long way from Dickens in the opening chapter of Great Expectations, describing Pip’s encounter with the runaway convict Magwitch: “A man who had been soaked in water, and smothered in mud, and lamed by stones, and cut by flints, and stung by nettles, and torn by briars; who limped, and shivered, and glared, and growled.” But it’s also a long way from the very best of which Christian music is capable. In January 1968, Christian, country-western musician and recovering drug addict Johnny Cash performed two shows at Folsom State Prison in California, one of the most notorious prisons in the country, a place where the most dangerous criminals were imprisoned, men who were just waiting around to die. 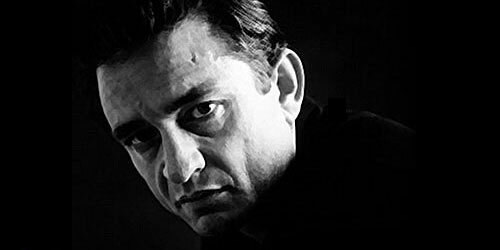 Those two shows became the basis for one of Cash’s most celebrated albums, the live album At Folsom Prison. And when you hear the loud howl of recognition that one guy yells out right at that moment, it’s hard to escape the conclusion that here was a musician with a preternatural gift for connecting with people in their deepest pains and regrets, a man who descended into caves of guilt and despair and emerged out of them again like the apostle Paul with a burning revelation of grace, a revelation that made him almost irresistibly compelling to the Magwitches and Havishams of the world—freaks, outcasts, thieves, murderers—life’s grotesques. The people whom ordinary church music could never reach. The best Christian music, the most truly “Christian” music, whether it’s performed by outsiders like Dylan, Bono, or Cash, or by artists in the Evangelical mainstream like Jars of Clay, Rich Mullins, or Gungor, never loses sight of this world in search of the next one. Unlike the disembodied worship songs of so much CCM, with their vague descriptions of a personal, mystical experience, they remain fixed in their own time and place, in the reality of original sin, in the rhythms of liturgy, in the simultaneously exhilarating and terrifying beauty of nature, in real situations that real people face. The best Christian music sings about actual things: an open field of wild flowers; a mudslide in Decatur, Illinois; the moon spilling laughter on the cold Dakota hills. And Christian-brand music will never be relevant until it follows the examples of its best and most talented artists, and embraces this crooked world. Frozen is one of those movies that stay with you. I’ve been thinking about it ever since I watched it again last week. Like most people I could empathize with Elsa’s longing to disappear into the mountains, away from friends and family, free of their rules and expectations, free to quit pretending, to be me. It’s a universal feeling, one that I think we’ve all felt. There’s something so stirring about seeing a heroine growing in confidence, casting off the constraints that have bound her and soaring through wind and sky. Haven’t you ever felt that calling, that longing to forget what everyone else tells you you have to be and just be what you have to be? Elsa’s self-imposed isolation is hurtful to her sister and ruinous to the kingdom. The writers aren’t encouraging this, as is clear by the end of the movie. “Let It Go” comes at a place in the movie where the heroine is just beginning her emotional journey, hurt and confused but filled with a longing to transcend her meager surroundings and be confident and powerful. But to understand what the movie thinks about all this, we have to follow that emotional journey all the way to the end. It’s a precarious balance, but I think the writers got it mostly right. Because we could so easily say, “Elsa was wrong to feel that way!” But the truth is, while her feelings may not always be what we’d want them to be, what they “should”be, they’re a part of the human experience, and that’s beautiful. We have grace for Elsa because she’s so human. And I wish we could read the Bible in the same way we watch Frozen. And it raises some interesting questions, like: Why these passages? Why does no one ever demand a “literal reading” of, “Love your enemies,” or, “If you forgive others, you will be forgiven”? Why are you making, “Destroy all that they have, and do not spare them” the hill that you die on? What does that say about you? 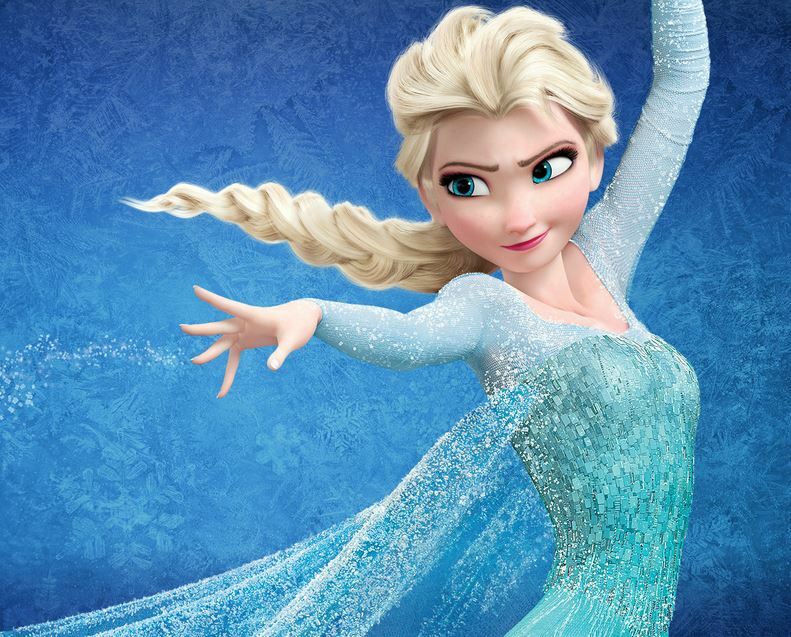 The truth is, like Frozen, the Bible has some very human elements. Human writers and human heroes expressed things that are often not appropriate. 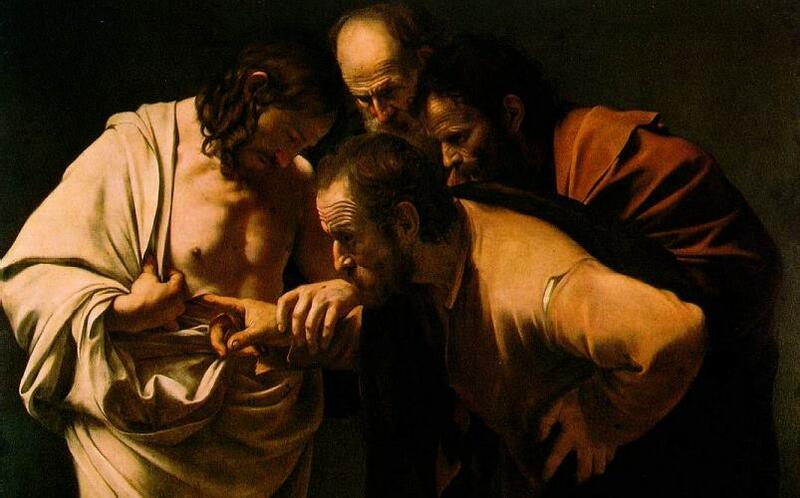 They did not always hear God correctly, and their image of God was not always accurate. Because the Bible is a story, and in order to grasp its full meaning you have to read it all the way to the end. There’s a twist at the end of the story, and the twist is Jesus. In the same way our knowledge of Hans, Anna’s fiancé, is dramatically altered by his self-revelation at the end of Frozen, the Israelites’ perception of God is dramatically altered by the self-revelation of Jesus. In the first case, the one we had trusted turned out to be a villain and deceiver. In the second, the one we had feared turned out to be gentle and good. And that’s really the message of the whole Bible: we thought God was like this; but all along, he was really like this. We thought God was proud and lofty. But he was meek and lowly. We thought he would execute vengeance. But he himself was executed. We thought he would take up the sword and kill. But he took up the cross and died. It’s the greatest of all surprises—a twist like no other. But we’ll never grasp what it means unless we read to the end. You can cut up the Bible into pieces and make it say whatever you want, just as you can take “Let It Go” out of Frozen and make a compelling argument for isolation and selfishness. 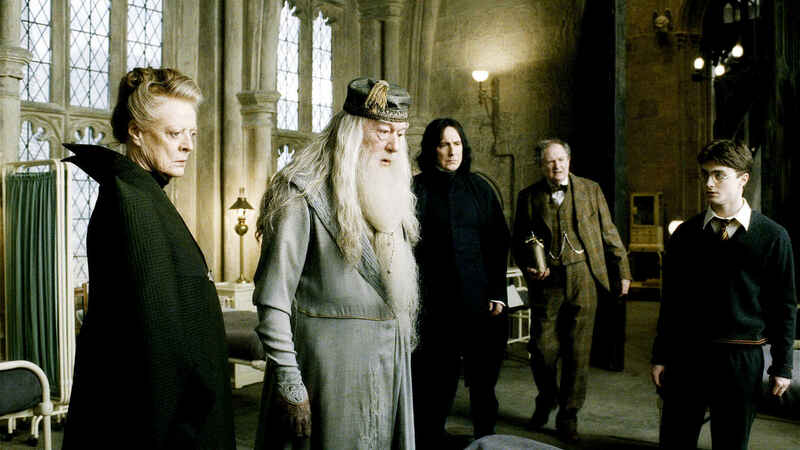 But the true heart of the story is found in its closing scenes, in sacrifices made and love rekindled. Upon his dark brow lingered a celestial light. no, it wasn’t my faith. and the mountains of the sea were silent. as the shadows gathered round me. filled the warm spring air. and the best I could have hoped for was to die alongside him. and bitterness exhausted itself and was silent. and the bones are called out of the blackness. on the shore of the sun-rimmed sea.